Mix all together. Make about 15-18 medium sized balls. Heat 2-3 Tbsp of Olive oil in a shallow pan. 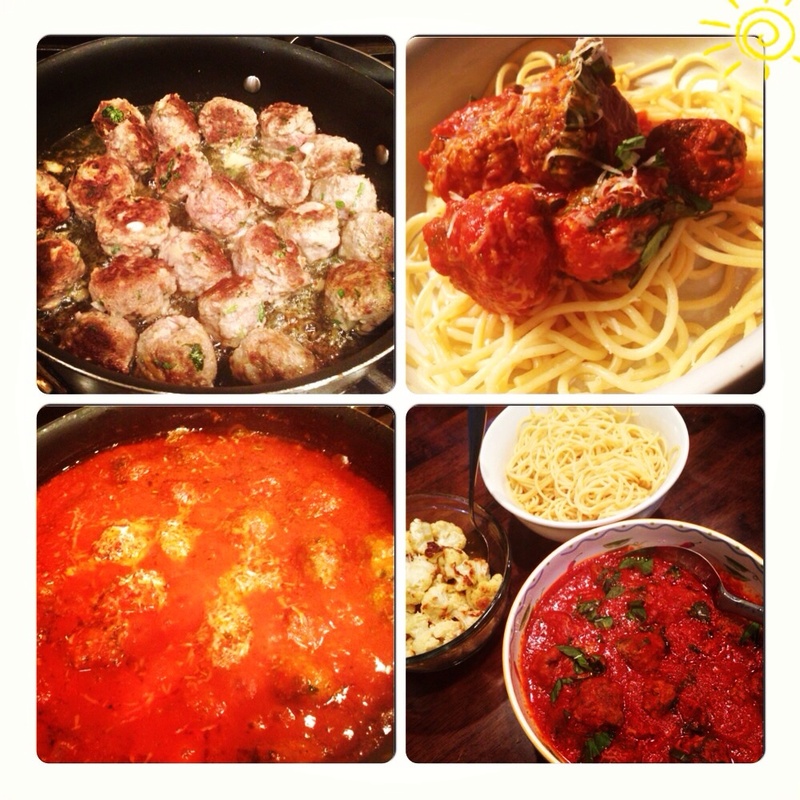 Arrange the meatballs in a single layer. Cook on medium heat for 6-8 min on each side. Lower the heat and simmer with your favorite sauce for 15-20 min. This will take about an hour or more so please be patient and keep stirring to avoid the milk solids from sticking to the pan. Bring to room temperature before adding the mango. Garnish with the dry fruits. Serve warm or chilled (at least 4-5 hrs). It’s been a busy morning already!! Multiple kids birthday parties, running errands, chores, getting ready for a birthday BBQ AND a sick child!! Thank goodness for easy and healthy recipes like this one, I don’t have to stop by the fast food drive-thru today!! Try my 3 ingredients Lemon dill Salmon broiled to perfection as is or on top of a colorful Luca’s “rainbow” salad!! Marinade the fish in the above dressing for at least 5 minutes. Broil on high for 12-15 minutes.